Dai Shizuka, assistant professor of biological sciences at the University of Nebraska–Lincoln, has earned a five-year, $712,500 Faculty Early Career Development award from the National Science Foundation to study how population turnover shapes social networks, network resilience and the relationship between social structure and social behavior. Population turnover — a universal process driven by birth, death, migration and dispersal — affects social networks of all kinds, from human to bird to cell. Despite these demographic swings, many species' social networks remain intact across time. Nebraska evolutionary ecologist Dai Shizuka first noticed this phenomenon while studying golden-crowned sparrows in California as a doctoral student. 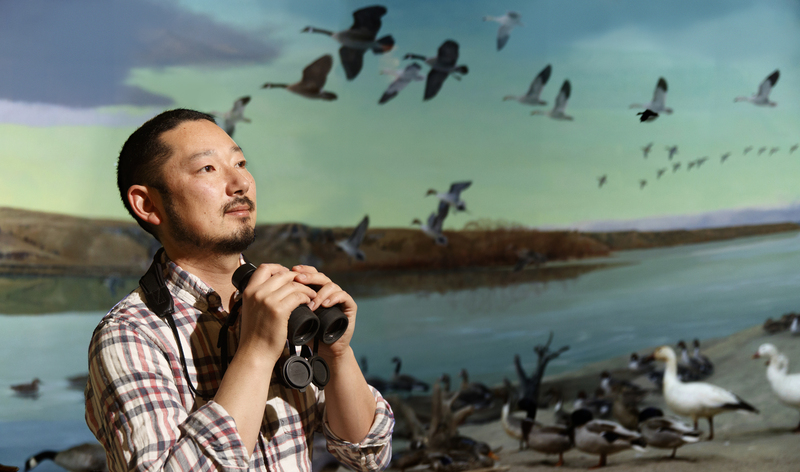 "I saw a long-term stability to the social system, even though half the birds were replaced each year," said Shizuka, assistant professor of biological sciences at the University of Nebraska–Lincoln. "This raised the question: How do societies remain stable despite the constant replacement of individuals?" "When a group loses an individual, all of that individual's social connections and relationships are also lost," he said. "The replacement individual makes completely new connections that didn't exist before. This process is ubiquitous in all social networks." Other facets of Shizuka's project involve launching an annual on-campus event that will expose refugee and immigrant high school students in Lincoln to opportunities at the university, with the aim of recruiting more of them to campus and increasing their representation in the STEM fields. He also is developing undergraduate and graduate curricula focused on reproducible research.